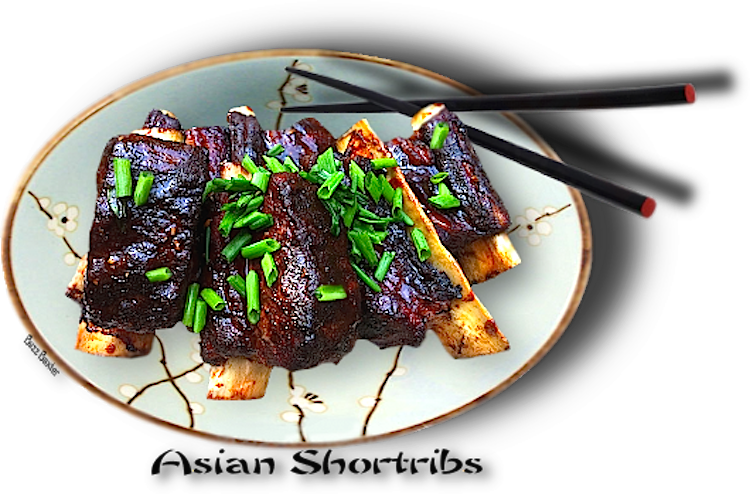 This is a melt in your mouth version of short ribs that has sweet glistening sauce that will have you wanting to have it again and again. This can be made with flanken style ribs (cross cut) as well as the more popular cut of ribs as shown. rub the spice mix all over. 2. On a hot, oiled grill, grill the ribs until all sides are well browned. meat is tender and beginning to fall off of the bone. Remove ribs from liquid. add scallions and cilantro to garnish after plating. not add them at all.